SRI F.I.E.L.D. NEWS - Soul River Inc.
What is SRI Field News? Have you wondered what the natural, rugged environment looks like from the perspectives of diverse inner-city youth? How do you think a veteran feels when they are connecting to lands outside of a war zone and even away from society’s pressures to melt back into the community like they never left? 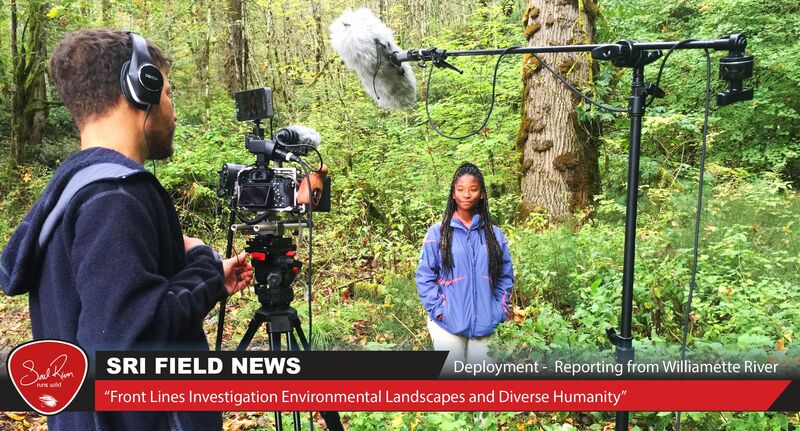 SRI FIELD News is to provide meaningful perspective from the next generation for future generations. With reporting done by SRI youth leaders while in the field on a deployment, our environmental concerns and issues are brought to a more substantial light in hopes that more demographics find it imperative to take immediate personal action. Deployments take place on public lands, wildlife refuges, and sacred Indian nation territory - all which hunger for a need to be advocated and supported for protection. SRI FIELD News provides news through digital communication and social media via live and recorded video as a main tool of broadcasting. Common topics for SRI FIELD News reports include but are not limited to the environment, rivers and their ecosystems, fisheries, public issues and concerns surrounding the lands and waters such as wild land and wildlife protection, and personal encounter stories in the field. What do the SRI youth leaders gain? SRI youth will be developing skills in communication and journalism as well as building on their writing and reporting. They will learn how to develop a story line, interview, investigate, translate, and ultimately report on their FIELD findings. They will be nature’s ambassador voice to the community. Stay Tuned for 2017! Going to be a great year! Soul River Inc is a non-profit 501(c)3. To sponsor SRI FIELD News in 2017, please contact Chad at chad@soulriverrunsdeep.com with “SRI FIELD News sponsor” in the subject line. We will get in touch with you to share more about the year, deployments, and what this exciting project looks like with your sponsoring partnership.